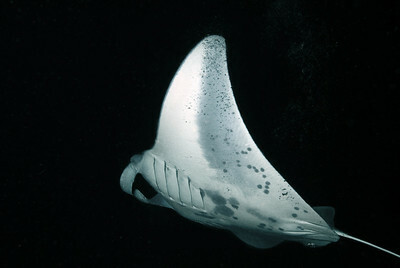 One of the mantas seen on the night manta dive. 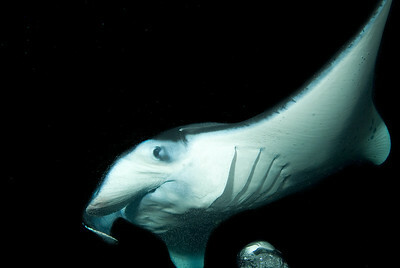 Mantas do collide, but only rarely when they come to feed during the manta night dive. 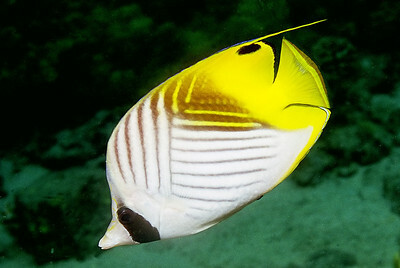 Notice the reflection of the manta on the bubble rising. 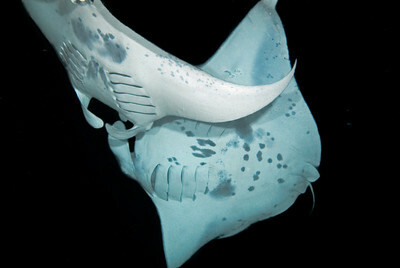 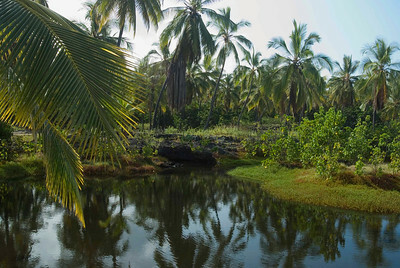 The tiny white flercks are the plankton drawn by the light and are the food that draws the mantas to this site. 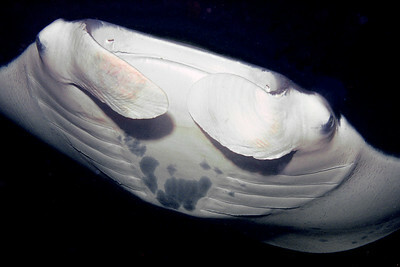 These mantas are about the size of your basic single garage door. 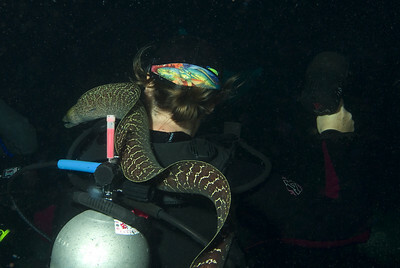 Cheryl and Frank - Cheryl never knew she had a friend until she saw this photo after the manta dive. 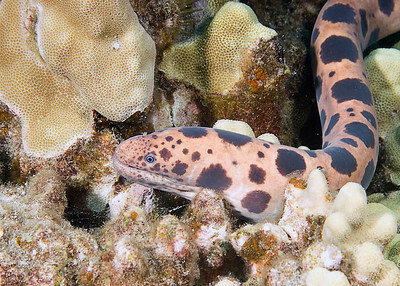 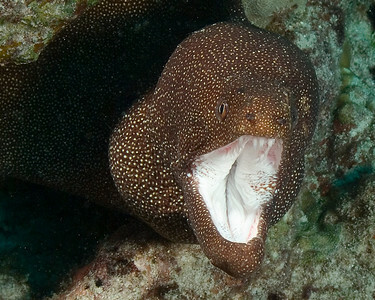 Frank is an Undulated Moray eel. 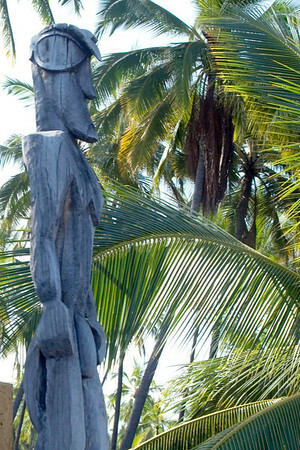 he visited 3 of us that night that I know of. 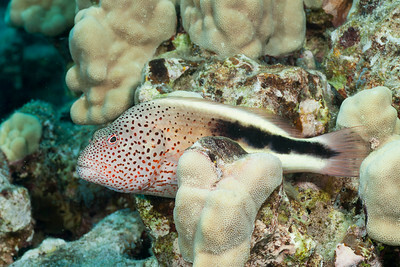 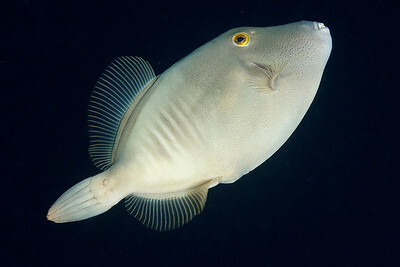 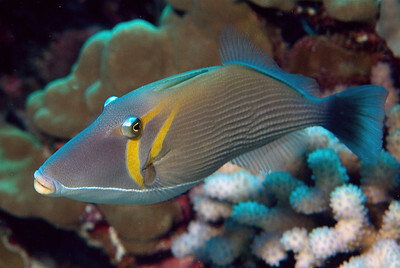 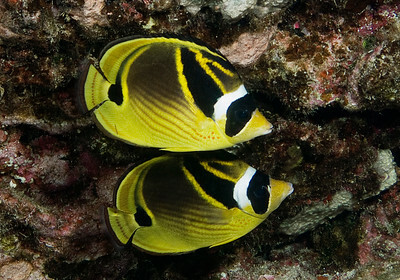 Pebbled butterfly fish. 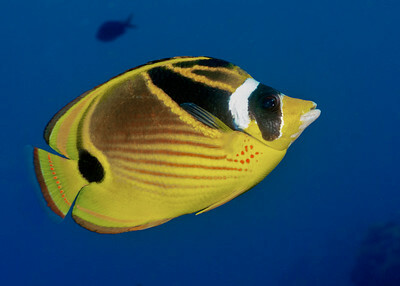 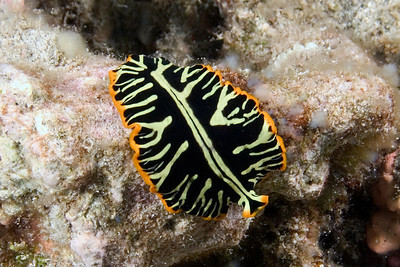 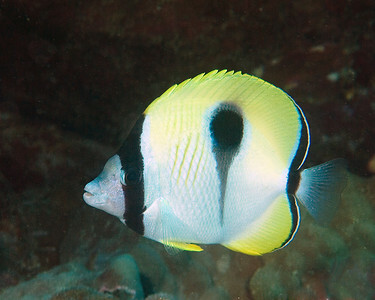 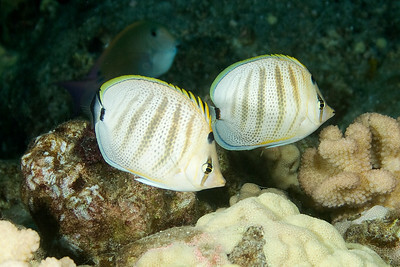 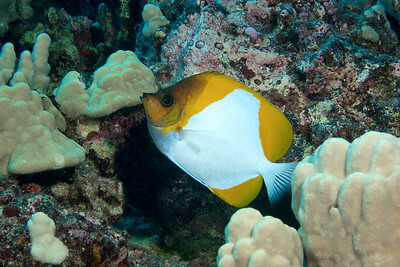 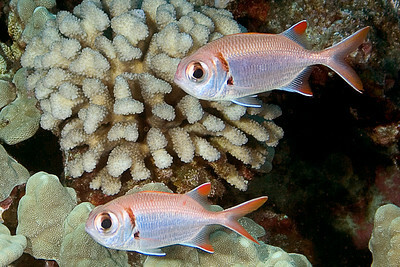 Like most butterfly fish, the stay in pairs. 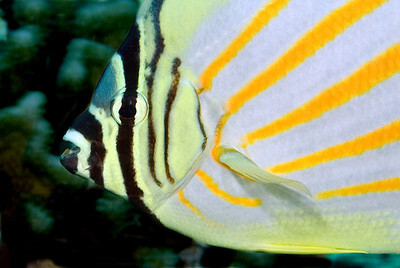 Ornate Butterfly fish - normally more shy than this. 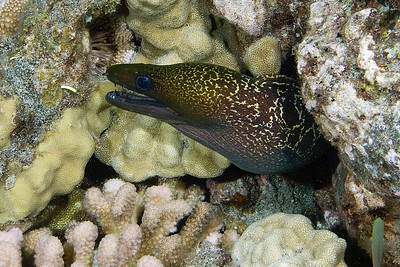 Tigersnake Moray - unusual to see one out and about during the day. 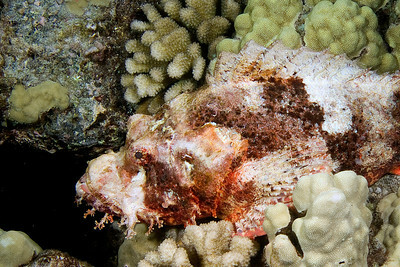 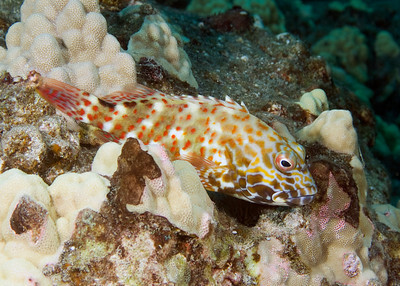 Scorpion fish - I have no idea as to which species. 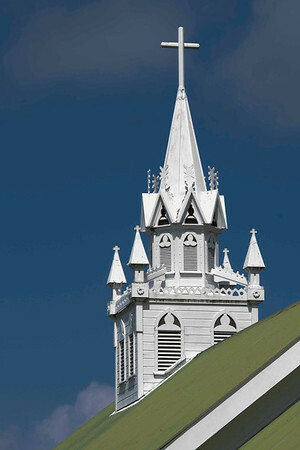 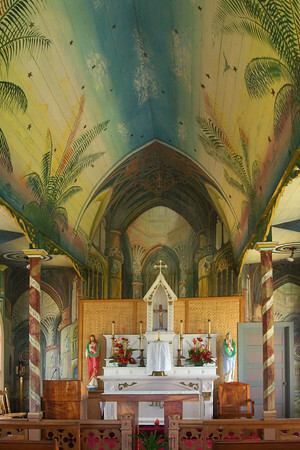 St. Benedict's - The Painted Church. 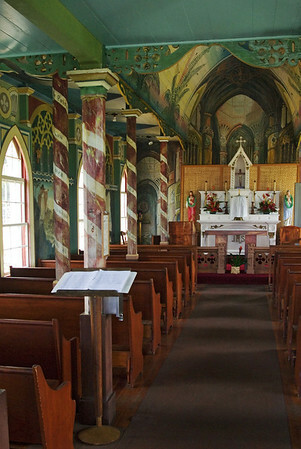 Erected in 1899, the interior paintings were used as teaching tools for the locals. 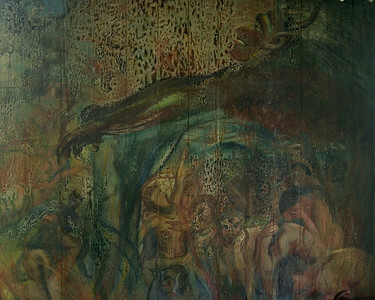 Hell - Painted Church - just a little encouragement for the locals to convert. 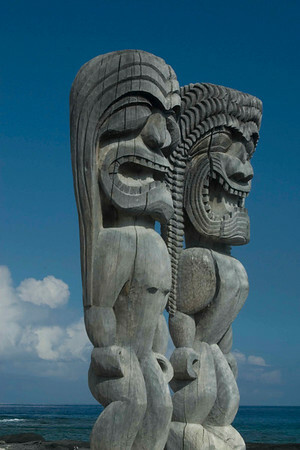 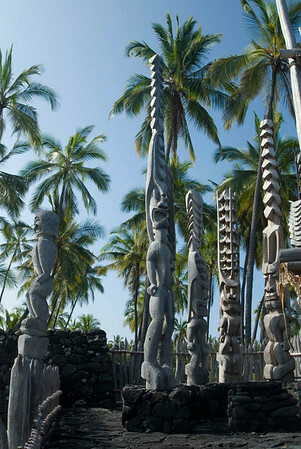 Place of Refuge - King and Queen totems?